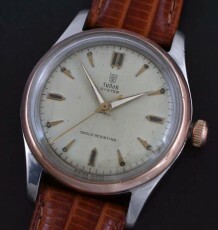 Tudor Submariner with hard to find mid-sized Oyster case and date window. 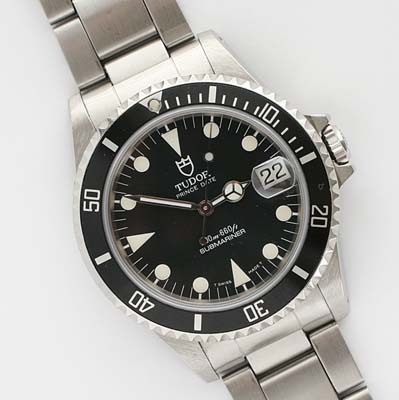 This Tudor Submariner Date is 100% original and is a relatively hard to find model. The mid-sized case makes it the same outer measurements at the venerable Rolex Datejust. although it has a far more sporting appearance and esthetic appeal than the Datejust. 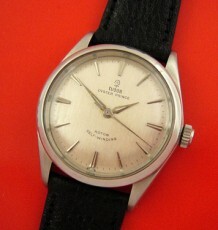 The wach features a sapphire crystal and quickset date function. The original warranty paperwork is included in the sale. The watch is fitted with a 25 jewel Rolex modified ETA automatic movement that was just serviced by my Rolex trained watchmaker. 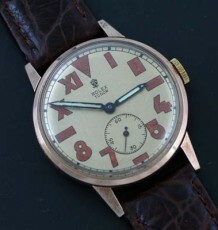 This movement features a quick-set date mechanism. The watch has been tested waterproof, but we are unable to guarantee waterproofing on any used watch. 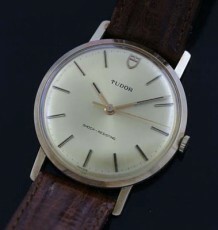 The watch measures 36 mm wide and comes on the original Tudor Oyster bracelet reference 9315. This is a highly sought after bracelet selling for a premium.